From what I have seen online, this supposedly smells like the very expensive Creed Aventus eau da parfum. The slickness of the soap is exceptional and leaves my face irritation free (unlike other soaps I'd used). 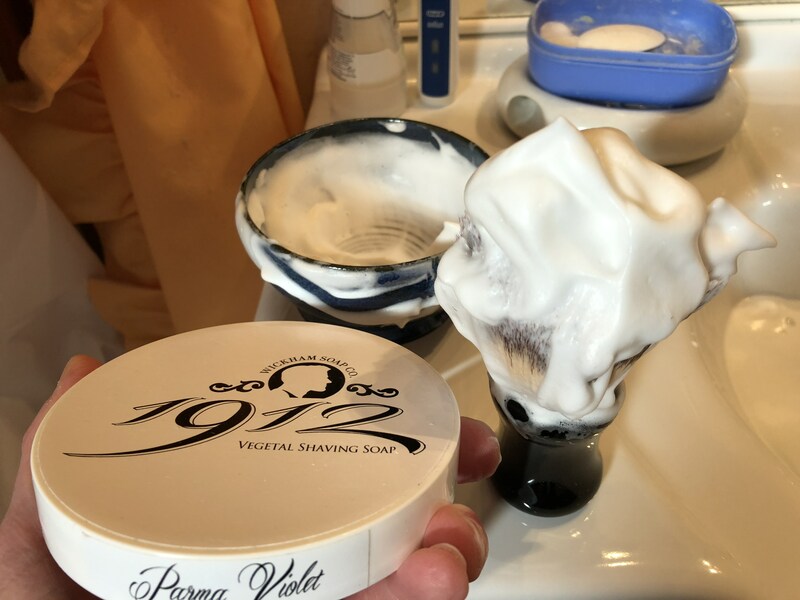 The large tubs that Wickham use for their soaps means its very easy to load your shaving brush (I have a Razorock Big Bruce and also Simpson Chubby 2 which are both large brushes) and I have plenty of room in the tub to load my brush. Talster, how strong are the scents, and what scents have you tried.Thanks. Parma violet, smelling the tub 5, once lathered 6. Classic 24, smelling the tub 5, once lathered 6. Club Cola, smelling the tub 6, once lather 7/7.5. 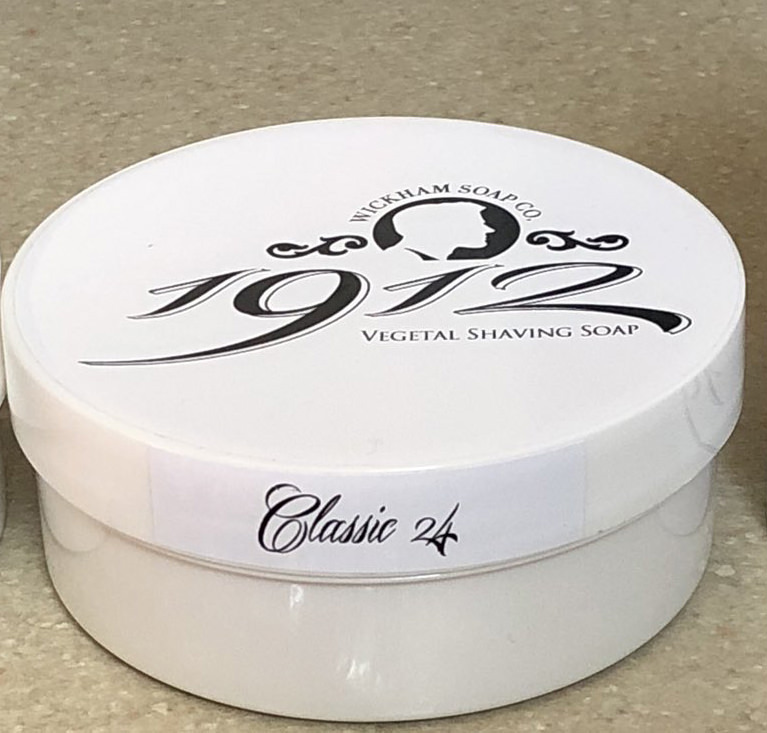 The are definitely not as heavily scented as the mass produced big named soaps, and personally that doesn't really bother me, as sometimes the ingredients that make up the very heavy scent, can sometimes cause skin problems with some people.